Inside the Amway Center, everything is new from the front row to the rafters. Bigger seats. Better sight lines. More amenities on every level of the building. Concourses are spacious, offering unique concessions and activities for kids and adults alike. Jernigan’s Restaurant and the Ozone Bar overlook the event floor, and children enjoy spending time in the kid-oriented fun zone and retail store on the upper concourse. 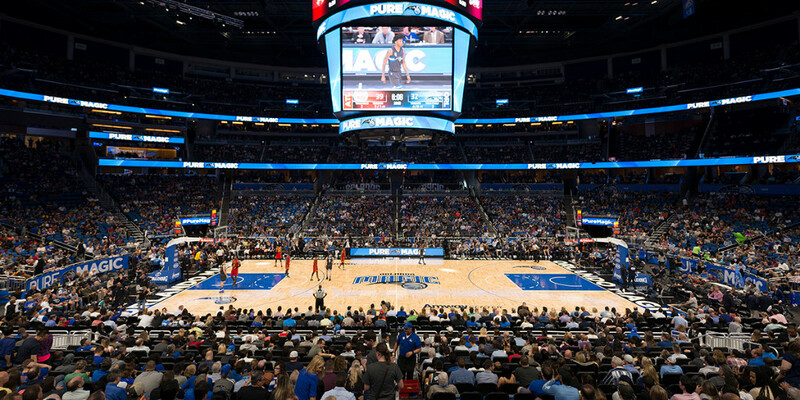 Technologically, Amway Center is one of the most advanced ever built, highlighted by the main scoreboard – the largest of its kind in the NBA. Measuring approximately 42 feet high and weighing in at more than 40 tons, its four primary video displays will be able to show high definition imagery in 4.4 trillion shades of color. Altogether, it’s unlike any arena ever built. It’s a world-class experience unlike anything Central Florida has ever seen. 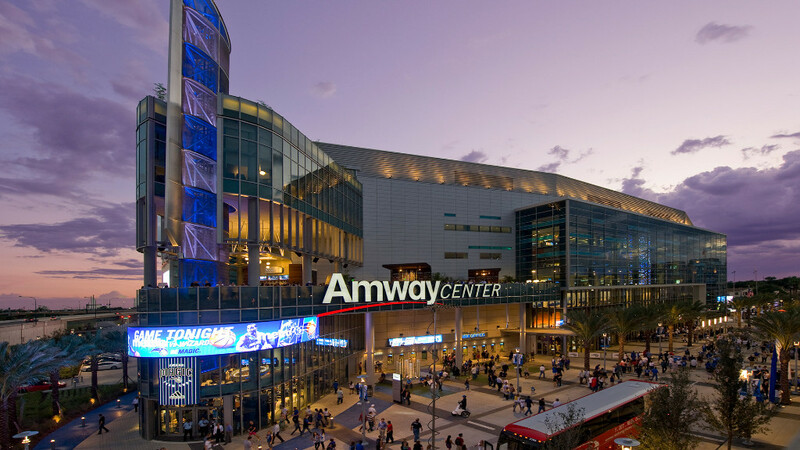 View all events in "Amway Center"